​Great Slave Lake is the deepest lake in North America (10th in the world) with its deepest point at 614 metres (2,014 feet). Great Slave's East Arm is a world class wonder with spectacular cliffs and tremendous wildlife. ​The Acasta Gneiss, found north of Wekweeti, is the oldest exposed rock ever found at over 4 billion years old. ​The first diamonds in Canada were discovered in the NWT. The North Slave's mines have led to the NWT becoming the world's largest diamond producer. ​In order to get to the mines, many supplies have to be transported by ice road in the winter months. The longest ice road crosses 600 kilometres of tundra and frozen lakes, nearly reaching the Nunavut border. ​Located on the East Arm of Great Slave Lake, Thaidene Nene is the newest park in the NWT - home to large fish, muskoxen, towering cliffs, and waterfalls. ​Yellowknife's Long John Jamboree is one of the NWT's most anticipated events of the year. It's main attraction is the Snow Castle, made purely of ice and snow by the Snow King himself. ​Located directly under the Aurora Oval, Yellowknife is one of the prime places in the world for viewing the Aurora Borealis, appearing 200+ nights a year. 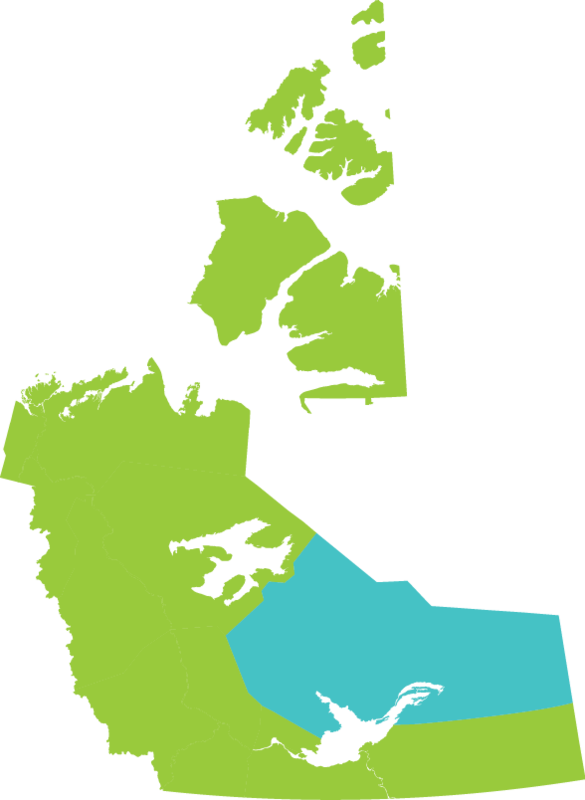 Yellowknife is the NWT's urban centre which also includes some of the most unique neighbourhoods in the country. Yellowknife's Old Town presents an unmatched charm where mansions, cabins and teepees make up the neighbourhood along with the houseboats on Yellowknife Bay.